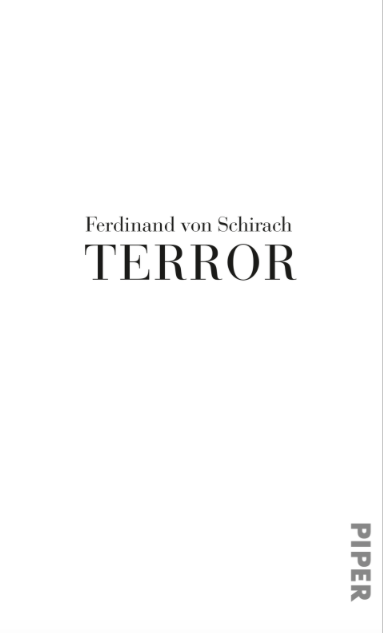 Ferdinand von Schirach’s latest book Terror contains the play Terror and von Schirach’s speech on the occasion of the M100-Sanssouci Media Award for Charlie Hebdo. On the back of the book, von Schirach states that he wrote the play before the attack on Charlie Hebdo and wrote the speech before the attacks in Paris on November 13 2015. I was grateful for this speech because there was a lot of opposition to this and other awards for Charlie Hebdo, which I found shocking. There seem to be people out there, some well-known writers like Teju Cole (and 144 others), who called the paper racist and tried to prevent it from receiving the PEN Freedom of Expression Courage Award last year. Von Schirach illustrates eloquently why this kind of thinking is unacceptable. With everything that’s been happening in the last weeks and months in France and Germany, a play like Terror becomes even more important. I first learned about this play thanks to theater reviews in German and Swiss newspapers. The play is interesting in so far as it has been written in the form of a trial and the theater audience is the jury who decides at the end, whether the accused is guilty or not guilty. Depending on that decision, the end will be different. In the book, we get to read both versions. According to the newspaper articles, no audience has ever voted “guilty” so far. That’s interesting because, as the play shows, what the accused has done is against the law. What is Terror about? A passenger plane with 164 people on board was hijacked and about to crash on a stadium, in which 70,000 people were watching a game. The accused, a fighter pilot, decided to shoot the passenger plane down, although he didn’t receive an order. He thought that killing 164 people was the lesser evil. When the reader/spectator first hears this, he’s quickly coming to the conclusion that it is justified, but after the interrogation of the witnesses and experts and the pleas, one is suddenly not so sure that the pilot’s decision was justified. It’s intriguing to see why the law finds it unacceptable and why, nonetheless, from a purely moral point of view, the audience thinks it’s OK to shoot down a passenger plane. Just to give you one example. The pilot’s defense argues that the shooting down of the plane didn’t matter, as the 164 passengers would have died anyway. The trial reveals that there might have been a possibility that the passengers could have accessed the cockpit and overpowered the terrorist. But, even if this wasn’t the case, it’s still unacceptable form the point of view of the law because you’d actually say, that people whose lives are doomed can be killed. What about someone with terminal cancer? Would it be OK to kill that person knowing he’d die soon anyway? Of course not. Once you ask yourself this kind of question, you see how tricky it is. The number of possible casualties is, according to the law, also not a good reason to determine whether or not, people could be killed in order to save other people as you can’t quantify life. Where would you draw the line? If killing 164 and saving 70,000 is ok, then what about 100 versus 120? The play isn’t flawless and, according to the reviews, the performances were wooden because the play is dry. I loved reading it because I found it thought-provoking. It looks at the case from many different angles and made me see some things in a new light. Once I finished reading, I wasn’t as sure as when I started, whether I would have decided the pilot’s not guilty. I guess, in the end, I would have decided in his favour because a verdict of “murder in 164 cases” seemed excessive, given that he saved 70,000 lives. The book hasn’t been translated yet but I could imagine it will be. It’s made into a film for German TV that will be aired on October 10 2016. The viewers will be able to play jury and give their verdicts via Facebook, phone, and Twitter. I hope I can watch it. Wonderful review, Caroline! 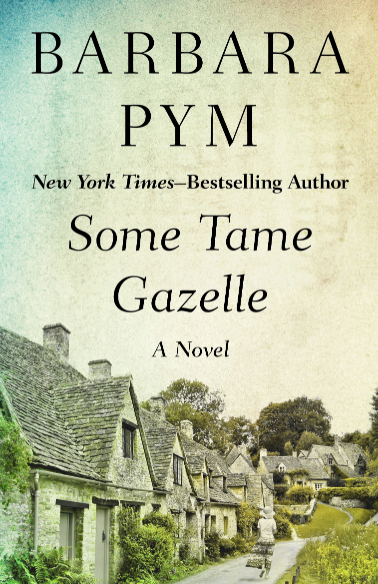 This looks like a wonderful play and I love Ferdinand von Schirach so much, that I can’t wait to read this! I hope it gets translated soon. It is nice that the book also has an essay on the subject. Very relevant book for our times. Thanks for reviewing it. Thanks Vishy. I would love to discuss it with you. I hope they are already translating. It’s very relevant. Sounds like classic von Shirach … and I’ve got to assume that the audience’s final verdict hinges on whether the initial risk assessment changes. As I’ll be in Germany on 10th October, (assuming my current risk assessment doesn’t change – worrying times), I’ll make a date with the TV …. Worrying times indeed. I should be in France at the moment but can’t seem to motivate myself. It’s so bad. I hope you can watch it. Would be great to discuss it. Caroline, do you know if this is airing tonight? 😦 No access to German TV next week. My pleasure. It’s very tough-provoking. THanks for the link. I saw your review but didn’t get a chance to read the discussion. It sounds so good. It seems cover some very old, perhaps ancient moral questions that humans people are faced with. I am fairly familiar with the Teju Cole controversy. It is part of a growing trend coming out of certain intellectual quarters. The best thing I can say about it is I strongly disagree with it. I may touch upon it in a future blog post. Thank you, Brian. And I’m glad you agree. I bought Teju Coles book right before I saw his statement(s) – I for one will not read him, and very possibly stay away from many, if not most of the authors on that list. 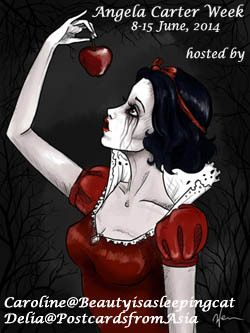 I know only of one writer who openly opposed Cole’s manipulative discussion – Neil Gaiman. Just today, after the horrible murder of a catholic priest I heard people saying that if France didn’t forbid the Burka . . . Why should any country allow signs of oppression? Why? I’ll be very interested to read your post. I used to read a lot of plays but haven’t lately. This was so thought-provoking. I’m glad you liked the post. An interesting experiment, sounds typical of Von Shirach in terms of content and approach. It is typical Von Schirach. Crime and Guikt have been made into films as well. For TV but I wasn’t too keen. I will reread them some day too. Very interesting. And yes a tricky question. Yes to both. If I get the time I’ll watch it on German TV on Tuesday. The viewers will be able to play jury. Should be interesting.